Many applications that purport to run on Windows 7 often require UAC (User Access Control) to be disabled or additional privileges to be given to Standard Users. 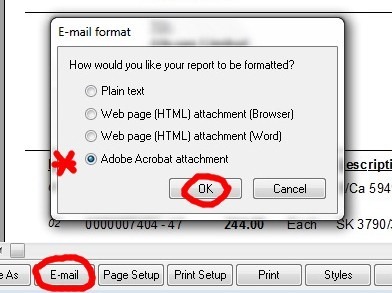 I had reasonable success running the latest version of Sage Construction (v14) on a Windows 7 Workstation, until one of the users attempted to Email a Report from the Print Spooler. 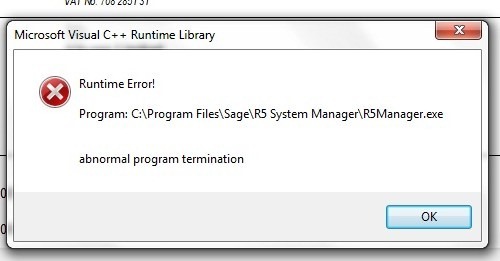 This generates an “R5Manager.exe” run time error, causing the program to bail. The only way to get this to work is to set Sage Construction to start up in “Compatibility Mode” with with “Administrator” Privilege. This is fairly standard procedure, but we now have an additional problem on systems where UAC is enabled. Each time a user wants to load Sage Construction, they will receive a UAC warning and they will not be able to continue unless they are an Administrator on the local machine (or enter Administrator credentials when prompted). So, we are now faced with the possibility of giving Standard users Administrative permissions for their Workstation. Not only that, but (to “resolve” the problem fully) we also need to Configure Outlook 2010 to run in “Administrator Mode” as well. Personally, I think this is a step too far and Sage needs to get a patch issued ASAP to address this issue. Despite Sage Support advising me that Sage Construction will run on Windows 7, it is clear that more work still needs to be done. I am advised that Sage will be issuing a patch for this shortly. 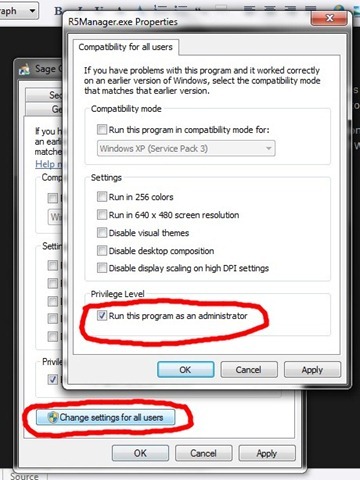 I have finally received the “sagepdfupdater.exe” patch from Sage and this appears to resolve the problems identified above – no need to “Run as Administrator” (or in “Compatibility Mode”) any more!